Moving up through the stakes is the dream of every poker player. We all start small but almost all of us have designs to some day play for high stakes and win a lot of money from the game we love. 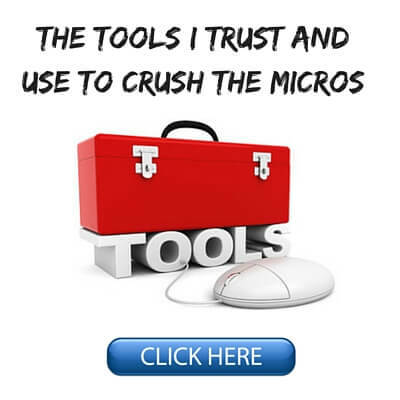 Naturally, your climb through the ranks will have to start from the micros. 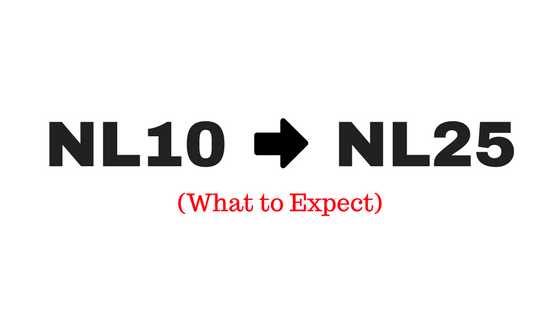 I have already covered the differences between NL2 and NL5 and what to look out for when moving up from NL5 to NL10. 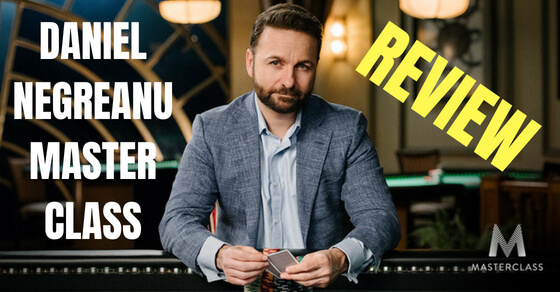 Today I want to talk about the next step in your progression to becoming a poker legend: moving from NL10 to NL25. The difference in skill level between NL10 and NL25 is one of the biggest that you will find between any two stakes online. That’s because at NL25 you will encounter many “pros” on a regular basis for the first time. And you are also playing for 2.5x the money. With that said, with a few simple adjustments, NL25 is still very beatable. So, in this article I am going to give you a step by step breakdown of exactly what differences to expect between NL10 and NL25, and how to make the transition smoother for you. NL10 (5c/10c blinds) is usually the 3rd lowest limit for cash games on most poker sites and normally has a maximum buy-in of $10 (100 big blinds). NL25 (10c/25c blinds) is usually the 4th biggest limit with a maximum buy-in of $25. You can see straight away that the difference in stakes and buy-ins between NL10 and NL25 is substantial. It is one of the only jumps in online poker where the stakes go up by a factor of 2.5 instead of just double like the previous limits. The big increase in buy-ins means one thing especially: NL25 is the first limit where players from low-cost countries can make enough money from poker to make a living. With a winrate of 8bb/100, and playing 50,000 hands, you can pull in $1,000 a month playing online poker before rakeback. That is more than enough money to live comfortably in many countries. The result on the games is that a large number of your opponents will be solid, multi-tabling regs. The ratio of recreational players will be much lower than at NL10 and below. But while NL25 is definitely more difficult to beat, with the right strategy and a little bit of table selection you can still turn a decent profit in these games. A "reg", which is short for regular, refers to the opponents that you will see at the poker tables day in and day out. They take the game fairly serious like you do and they might even study on the side to improve their game. The difference in skill level between a typical NL10 reg and a reg at NL25 can be quite big. Above all, regs at these stakes will be much more aggressive and give you a hard time in a lot of spots. At NL25, you will get 3Bet way more than at NL10, especially when stealing the blinds or attacking limpers. Likewise, if you 3Bet other regs at NL25, they will often come over the top and 4Bet you. Both of these situations are tricky and can be frustrating as well, especially if they happen over and over. Another trait of NL25 players is that they will be much stickier after the flop. Your CBets will get floated more often and you will face more bluff-raises postflop as well. Again, this can be tough to play against since very often you will find yourself on the turn with a weak hand and feeling completely lost. 1) You have to stay calm and avoid tilt. 2) You have to increase your aggression against other regs as well. Think about it this way: If you and your opponent play the same way against each other, the winner will be the player who tilts the least. So you have to learn that dealing with aggressive poker players is just part of the game, and you’ll be facing these players on a regular basis on any limit higher than NL25 anyways. And sometimes, you can use your own aggression to take the pot away from them as well. The key here is to wait until you have a decent sample size on your opponent so you can see what he’s up to through your HUD (heads up display). Until then it’s usually better to give them the benefit of the doubt. It’s better to fold a bit too much than to raise blindly into unknown players who could have a strong hand. Finally, even though the regs at NL25 are generally decent players, almost all of them will have some major leaks in their games. This is just pure logic. No seriously strong player would hang around NL25 for too long. There is simply way more money to be made at higher stakes. It’s essential that you use your HUD at these stakes. If you look closely, you can identify weaknesses in almost any reg and then exploit them. This is how you can really crush this limit. For instance, you might see players with an Aggression Factor (AF) of 4, 5 or even higher. That means they are bluffing a large percentage of the time and you have to be prepared to call them down to the river with hands like 2nd pair. Or you will see regs with a Went to Showdown (WTSD) percentage of 30%, 40% and up. This means that they are basically calling stations and you have to stop bluffing them and instead value bet your top pairs on all three streets! Making adjustments like these is the key to becoming a great poker player. And it’s the only way you can separate yourself from the pack and achieve higher winrates than the other NL25 regs. I’ve said it before and I’ll say it again: Fish are fish at any stake. There really aren’t many differences between the fish you’ll find at NL10 and those at NL25. They will still make the most outrageous plays and work hard to give you their money. What this means of course is that just like with all the other limits, most of your profits will come from playing against the bad players. You can outplay the other regs as much as you want but if you really want to crush NL25, then you have to find the games with fish. Not only that, you definitely want the fish to be on your right. This will give you position on them almost every single hand and make it much easier to isolate them and play the pot heads-up. This is how you beat them for the highest win-rate. 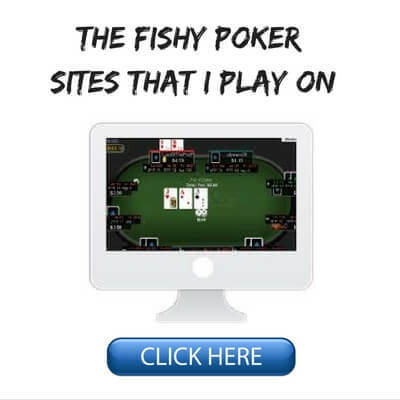 If the fish is on your direct left instead, then it will be very hard to outplay them because they will be the ones with position almost every hand. This makes it much harder to value bet them, bluff them and so on. And despite the supposedly unbeatable games today (according to some), there are in fact still large numbers of recreational players at NL25 even at the toughest sites like Pokerstars. But they will not come to you. You have to table select like it is your job in order to find them. The good news is that most people are simply not willing to put in this kind of effort and they pay for it dearly in their results. So you can gain an absolutely huge advantage over the other regs at these stakes by simply paying more attention to the details like this. Always remember that fish are where the profit comes from in poker. Make sure there is always one at your table and poker is an easy game. If you’re moving up from NL10 to NL25, then naturally your winrate will drop. This happens anytime you move up to a new limit. So for instance, if you’re a 5bb/100 winner at NL10 right now, then you might average 3-4bb/100 at NL25. 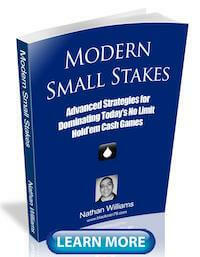 However, this would still make it a profitable decision to move up as you will win more money per hour overall. It is important to note that rakeback is also substantially more at NL25. 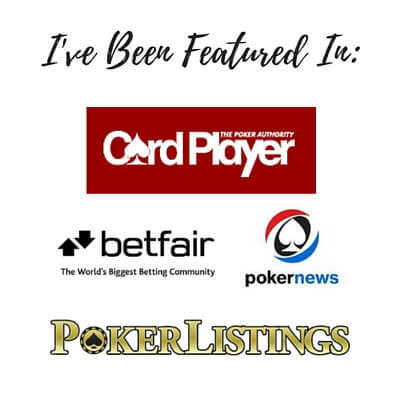 In my experience this is the first stake where you can start clearing signficant bonuses and making hundreds of dollars a month on top just for playing. Furthermore, it is also important to note though that smaller winrates mean more variance, so proper bankroll management is extremely important when moving up in stakes. My general advice is to only move up once you have at least 40 (or even 50) buy-ins for the next limit. That would mean around $1,000 to $1,250 for NL25. Also, if you set a rule for moving up then you should also set one for moving back down. So a good approach would be to move up once you have 50 buy-ins at NL25 and move back down once you drop below 40 buy-ins. Using this strategy, you will never be in serious risk of going broke. Make sure that you are consistently beating your current stake for a reasonable winrate (2bb/100 or more) and over a decent sample size (20k hands minimum). Make sure that you are properly bankrolled (just discussed above). You should definitely NOT be in a downswing currently and you should be feeling confident about your game. Move up on a weekend or a prime traffic time when the games are likely to be the easiest to beat. Evenings, North America or Europe time, on the weekend is generally the best time to play. Don't get into large scale "reg wars" (battles with other solid players) until you have a solid amount of HUD data on them. Another important strategy is to cut down your table count and table-select super hard in the first few days after moving up to NL25. Make sure you find the very best tables to make your transition as easy as possible. Lastly, don't worry about the bigger pots and just play your game. After all, you are properly bankrolled for this game right? You will find that in the end NL25 is still poker and if you’ve been crushing NL10 then you should do just fine at NL25 too. And lastly lastly, even if your move up attempt does not work out the first time, don't beat yourself up about it. 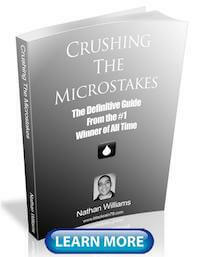 Many great players fail multiple times when moving up even at the micros. It is simply a rinse and repeat process and eventually you will stick at the new limit (NL25 in this case) and finally start making some decent money in this game. Don't sell yourself short. You belong in these games. Now go make it happen! I am not going to sugar coat it. 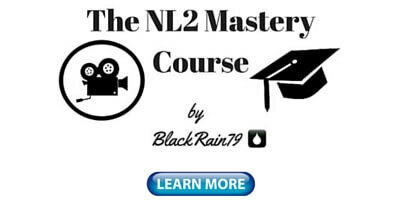 Moving up from NL10 to NL25 is one of the hardest jumps in stakes that you will face in your poker career. I am not afraid to admit that I failed to make this jump several times early on in my poker career. Probably for the first time in your life, you will encounter professional players on a regular basis at NL25. They aren't world beaters by any extent but they are playing to pay their rent in some cases. This changes things. The games will also be more aggressive and of course the pots will be quite a bit bigger than you are used to as well. However, if you stay calm and play your game then you will soon get used to the different play at NL25. The best advice that I can possibly give you is just to keep doing the exact same things that have already brought you success at NL10. And if you find good games where you have position on the fish, then you will also have a much better chance of making your first shot at NL25 stick and post consistent winnings from the start. Look poker is still poker and while NL25 is harder than NL10, it is still very much beatable if you play a solid game, keep your tilt at a minimum and use your HUD to exploit your opponents. Finally, always remember to keep it fun because moving up in stakes is actually one of the most exciting times you will experience as a poker player. If you manage to win consistently you will soon become familiar with the regs and the pot sizes and you will find that NL25 is really a piece of cake. 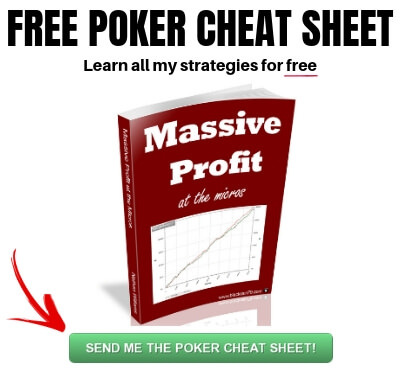 If you want to know the exact strategy that I use to beat NL25, and all limits at the micros, make sure you pick up a copy of my free poker ebook. Lastly, let me know in the comments what it's been like for you moving from NL10 to NL25. And if you found this article helpful, give it a quick "Like" or a "Tweet" below. Thanks Nathan, your posts and books are always helpful. I'm really growing up with your advices. Once more, THANK YOU! Glad I could help Thiago! A lot of them definitely do play like total nits but there are some regs at NL25 who are decent aggressive players. Yes this can happen even to very good poker players. Hi Nathan, i would have raised the turn in your video because of the villain‘s double barring frequency on the turn after contibetting the flop. In my opinion, he doesn‘t have a positional thinking pf raise- spectrum(9%) and your call on the flop let him think that you have a weak T or sit on a draw. In my opinion he has got 99- AA. If i were in this situation i would have raised him in a hard way to call a possible shove with JJ-AA. What do u think about my thinkin?